For over 25 years, Ghana has progressively entrenched democracy while maintaining relative peace and stability. It has gone through seven consecutive elections without large-scale violence and three peaceful changes of power between its two main parties – the New Patriotic Party (NPP) and the National Democratic Congress (NDC). A highly disputed presidential election in 2012, which produced an NDC victory, was peacefully resolved through the law courts. Four years earlier, the country avoided large-scale political violence despite an extremely narrow NDC electoral victory. Yet both the NDC and the NPP, whether in opposition or in government, increasingly rely on vigilante groups to provide security for their campaigns and ensure electoral victory. These groups, made up of largely unemployed youth, mobilise party supporters; serve as polling or monitoring agents during voter registration, voting, and results tabulation; and ‘protect’ polling centres and electoral materials. Ahead of the 2016 elections, more than 5 000 electoral precincts were considered flashpoints by the Ghana Police Service, although not all of these were due to vigilante activities. Other factors were land and chieftaincy disputes and the proliferation of illicit arms in the country, the police said. Even so, the 2008 and 2012 contests also featured violent vigilantism and the phenomenon, according to security expert Kwesi Aning, has worsened. The Azorka Boys, loyal to and named after Chief Awudu Sofo Azorka, the NDC’s northern regional chairman, and the Aluta Boys, are known to be affiliated with the NDC. The Delta Force and the Invincible Forces are among the groups affiliated with the NPP. Recently Joseph Yamin, former deputy minister for the Asante Region, set up the Hawks ostensibly to ‘protect the NDC’ ahead of the 2020 elections. With support from known party figures, these groups threaten, intimidate and assault opponents, seize or destroy electoral materials, assault electoral officials, and vandalise registration centres. Groups affiliated with the winning party often forcibly take over government offices and properties, and in some cases violently resist new government appointments they disagree with. In 2017, the Delta Force was so infuriated by President Nana Addo Dankwa Akufo-Addo’s appointment of George Agyei as regional security coordinator for the Asante Region that its members barged into his office, and assaulted and forcibly ejected him. To the group, Agyei didn’t contribute to the NPP’s victory and thus didn’t deserve the position. When the Delta Force accused were put on trial, fellow members entered the court, freed their comrades, and threatened the judge. These groups also tend to attack their own party figures in government when they feel promises made to them aren’t fulfilled. 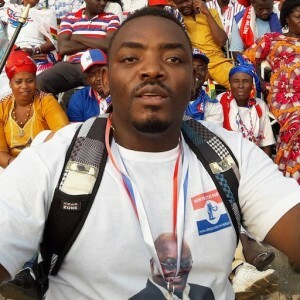 On 7 October, Delta Force members reportedly attacked NPP member of parliament and Minister for Monitoring and Evaluation Anthony Akoto Osei during a party meeting in his constituency. Their complaint was his failure to recruit them into the security services as promised. A change of government has been punctuated by seizures of toll booths, public toilets, lorry parks, tourist sites and public health facilities, among others, all deemed to be business opportunities. Under both the NPP and the NDC, the losing party complains about harassment and seizure of property often by vigilante groups. In some cases, staff in government offices and facilities are either assaulted or forcibly ejected. The zero-sum dynamics that have become entrenched in Ghanaian politics has made competitive politics a do-or-die affair. Wealth accumulation is determined by access to political power and state resources. Political elites have near-complete control of key economic sectors – oil and gas, mining, cocoa, and public utilities. They have the power to grant licences for mining and oil and gas exploration, and to dispense revenues derived from these. The private sector is dependent on government contracts and largesse. Both the NPP and the NDC have often accused each other of collapsing ‘opponent’ businesses and dishing out huge contracts to their party folks and allied businesses. Politicians are influential in determining who receives business permits, loans and public sector employment. The executive is particularly strong as the president has the power to make over 4 000 direct appointments, including of municipal and district chief executives. An electoral victory thus suddenly improves one’s socio-economic status. Opposition parties have little trust and confidence in the police, particularly during election periods. Entrusting the safety and security of their presidential candidates, running mates and campaign contingents to a police service over which they have no control is, in their view, too much of a risk. A classic example is the 2016 elections when three former South African police officers contracted to train bodyguards of the NPP’s presidential candidate and running mate were arrested and deported. Sammy Awuku, NPP youth organiser at the time, said the party was ‘taking steps to give maximum protection to our presidential candidate and his running mate … whether the South Africans have been sent home or not’. The apparent lack of police independence is reinforced by the change of officers in the police and other security institutions, including the Bureau of National Investigations, that normally accompanies a change of government. Ghana’s democratic progress and long-term stability are seriously undermined by ever-entrenching political vigilantism that is often supported by the NPP and NDC. To prevent this, the rule of law and state institutions must be strengthened. The goal should be to inspire trust and confidence in the independence of law enforcement, and to limit wealth accumulation through the control of political power and state resources.